Paula Rice has been a New York State Licensed Associate Real Estate Broker since 1993. When she bought her first home, Paula enjoyed the process so much, she decided to make real estate sales her profession. Since her career began, she’s bought and sold many homes of her own, and has helped hundreds of wonderful clients do the same! 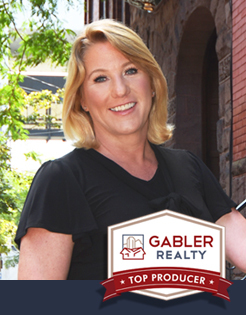 Since the beginning of her real estate career, Paula has always been in love with the Capital Region. Just 2 hours to an Adirondack cabin, 3.5 hours to a Cape Cod beachside, or quick 3hour drive to a Broadway play in NYC, Paula and her clients adore all that our region has to offer! Now settled in the Town of Bethlehem, Paula enjoys spending time with her beautiful daughters, Nicole and Katharine, reading, and occasionally golfing. From a lifetime of experience, Paula knows our Capital Region is a wonderful place to live and being a part of helping others find their “American Dream” is the cherry on top!